Virgin Media has announced that it will begin trials of what it is calling the 'world's fastest broadband', with the cable giant expecting to attain speeds of a whopping 1.5Gbps. Although the company's 100Mbps service is currently the fastest widely available product on the market, Virgin Media is keen to look beyond mere megabits. The trial, which start this month, are being conducted in partnership with four companies in the Old Street region being dubbed 'Silicon Roundabout'. The asymmetric service brings download speeds of 1.5Gbps and upload speeds of 150Mbps – and if successful would be the world's fastest cable connection. Jon James, executive director of broadband at Virgin Media, said: "Demand for greater bandwidth is growing rapidly as more devices are able to connect to the internet and as more people go online simultaneously. 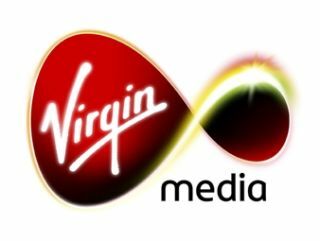 "Our growing network provides a highly competitive alternative to the fastest fibre networks of the future and, with our ongoing investment plans, we can anticipate and meet demand as it develops over time, ensuring Virgin Media business and residential customers continue to enjoy world-class broadband." Virgin Media insists that its huge investment in fibre optic cabling means that it will remain at the forefront if superfast broadband in the UK despite BT's current focus on rolling out fibre. The companies involved in the trial are apparently involved in video for online and mobile streaming, which justifies the need for such a ludicrously fast connection.